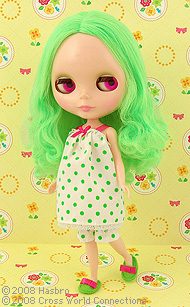 CWC Limited Edition Prima Dolly "Amaryllis"
Prima Dolly "Amaryllis" has vivid light green hair! 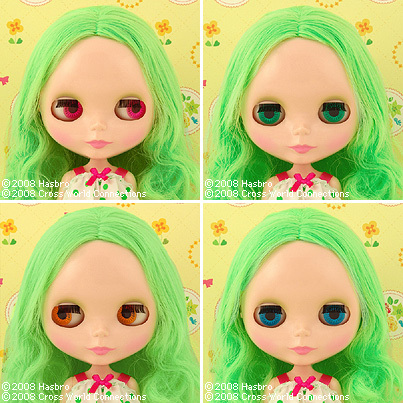 Her special eye color is hot pink, and it adds even more pop look to the doll. Her make up is a gentle green eye shadow with pink lips and brush.